Another reason to buy organic…Over the years many resisted buying ‘organic’ because it was too expensive. Now we have new reasons to feel we are worth the extra cost…GMO’s…and Roundup, a pesticide containing glyphosate, . Research is showing how disruptive glyphosate is to the intestinal tract, digestion, brain, nerves and more! And glyphosate is now found in almost all foods including granola , orange juice, wheat, oatmeal, crackers, legumes, beans, wine and ice cream. Few people had detectable levels in their urine before 1993. But by 2016 70% had glyphosate in their urine. Between 1993 and 2016 glyphosate levels in urine have jumped by over 1200%. We may not have control over what is being done to our food supply but we do have the option for making healthier choices. Knowledge is key. I am only giving you a thimble of information. Enough to ,make you think twice and thrice. There is so much more to be said about what is being done to our food supply. I encourage you to go to www.Mercola.com and search on glyphosates and GMO’s so you can be a more educated consumer and really make the healthier choices for you and your family. Andrea Candee is a master herbalist for over 30 years with a consultation practice in South Salem, NY. She lectures throughout the country and at corporate wellness centers about taking charge of your health naturally. 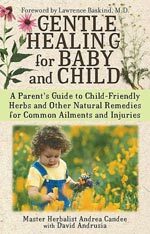 Media expert and author, her award-winning book, Gentle Healing for Baby and Child (Simon & Schuster), received The National Parenting Center’s Seal of Approval. Andrea is noted nationally for her unique and successful approach to Lyme Disease and works with clients and their pets anywhere in the country. Also available in hard copy or in PDF format are her booklets: Herbs, Recipes & Guidance to Winter Wellness; Sparkling Home, Healthy Planet, Clean Green, and The Cell Phone Dilemma…options for wellness in an unseen world. Her DVD, The Healing Kitchen, brings the enthusiastically received workshop to you.